This is going to be an exciting year to be a Beachbody Coach! With new products and brands, Beachbody is the go-to company for health and fitness. 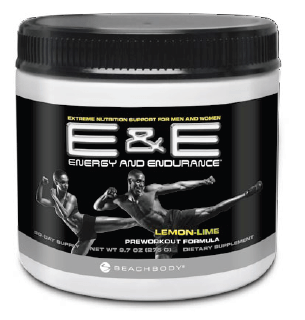 E&E Energy and Endurance: Available now, this pre-workout drink is designed to improve your energy, strength, focus, and endurance for workouts! Made of nitric oxide boosters, B vitamins, electrolytes, natural energizers in a whole food base, this proprietary formula is the pre-workout drink you’ve been waiting for! Read more about Energy and Endurance Pre-workout Drink! Shakeology Tropical Strawberry, Vegan: Joining the Chocolate and Greenberry family of Shakeology, the new Tropical flavor is delicious and is sure to please any palette! And there are no animal derived products in the formula! It contains the most advanced, fermented sprouted brown rice protein in the world! It’s a smoothly textured shake and I can’t wait to get mine! Tai Cheng: W’ve told you about this progressive Tai Chi fitness program before and it will be available in February 2012! Built on the fundamentals of Tai Chi and Qi Gong, Tai Cheng focuses on improved mobility, strength, muscle tone, and balance. This fitness program will be a great complement to any exercise you are currently doing. New Beachbody Apparel line: I am truly excited to tell you about the newest line of Beachbody clothing. We all love to strut our stuff in P90X attire and these new designs will have you looking great! Available for P90X and TurboFire in mid-Februrary! Beachbody Ultimate Reset: You are going to love this! Beachbody really listens to their customers and you’ve been asking for a cleanse. Well, now you’ll have one! This 21-day cleanse is a 3-phase inner revitalization program aimed at detoxing your body. You can return your body to its ultimate state: health, balance, and purity. Click here for the new Beachbody Ultimate brand available now. P90X Certification: This comprehensive P90X training has both a qualification and certification process. Read more about it! Join Team Beachbody for free to be notified when all these amazing products are available! With all these exciting new products and expansion into the new brand, Ultimate Reset, starting your business now is the way to go! Join my fast growing team today. When you join my team, you get training, support, and become part of a winning team! Contact me today and let’s get you started! 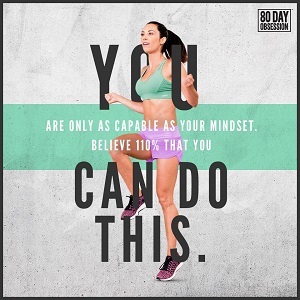 Make YOUR 2012 the year you achieve YOUR dreams with the Beachbody business opportunity!